What is it with Irish-trained runners at major British horse racing festivals? If it’s not Gordon Elliott and Willie Mullins dominating Cheltenham over jumps, then it’s flat master Aidan O’Brien at Royal Ascot. Backed by the Coolmore Stud operation concerned with thoroughbred racehorse breeding and bloodstock and principal owners John Magnier (although registered in wife Sue’s name), Derrick Smith and Michael Tabor, O’Brien had a historic 2017. A record-breaking 28 Group 1 race winners worldwide trained at his Ballydoyle stables was the latest in a very long line of achievements with his horses. Three of those victories at the highest level came at Royal Ascot – five days of elite sporting drama held in front of the Queen every June. That got us thinking about this master handler’s recent and overall record at this premier flat horse racing festival. 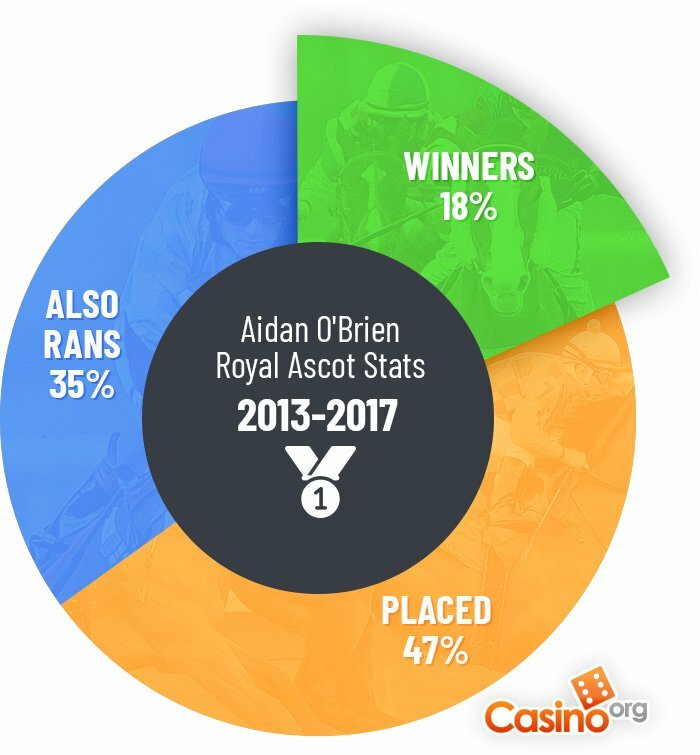 Here are some incredible Aidan O’Brien Royal Ascot stats that further underline how big his contribution to the sport of kings is. Since 2002, when Royal Ascot was extended from four days to five, there have been 30 different races for trainers to win. Ahead of the 2018 edition, O’Brien has enjoyed 61 victories at the event spread across 21 different contests – 70% of those available. 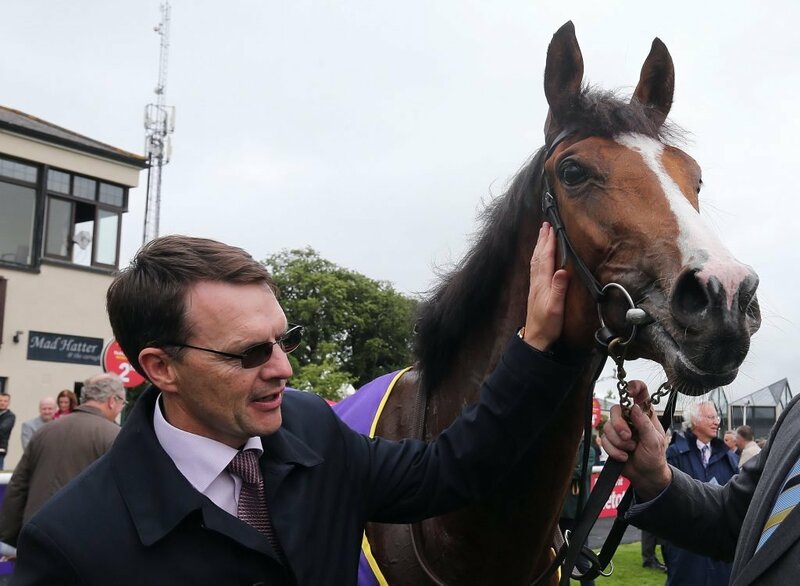 Many of the races missing from O’Brien’s CV are handicaps – competitive ones that lack the prize money of major Royal Ascot races – yet there’s also a Group 1 on the to-do list, the King’s Stand for sprinters over the flying five furlongs. Three of the nine contests he’s still to win involve fillies or mares of different ages. This may be because O’Brien’s powerful backers Coolmore are more interested in colts to bring through to become stallions for breeding. Of the 61 Aidan O’Brien Royal Ascot winners enjoyed to date, however, which races have connections farmed most? Just as the races he hasn’t won were at the lower end of the prize money, many of these Royal Ascot contests O’Brien and connections have targeted are big pots well worth landing. We’ll return to the subject of winnings later, but first a look at his winners and placed horses-to-runners ratios. At the last five editions of Royal Ascot, O’Brien has seen 131 runners go to post and of those 24 have won the races they were entered in. That’s a win percentage of just over 18.3%, meaning roughly a fifth of all his horses come first including a high of seven from 26 in 2016! What the pie chart doesn’t show you is that there are some multiple Royal Ascot winners in there – horses which have turned up in consecutive years and landed big races. Racing fans, remember any of these O’Brien trained heroes who came back and delivered in front of royalty more than once? Thanks in part of these Aidan O’Brien Royal Ascot multiple winners, it’s no wonder he’s been top trainer at the meeting seven times from 2007 to 2017. Can he make eight occasions in 12 years in 2018? A staggering 47%, or 61 of those 131 O’Brien entries, over the last five years have made the frame – if not able to win. 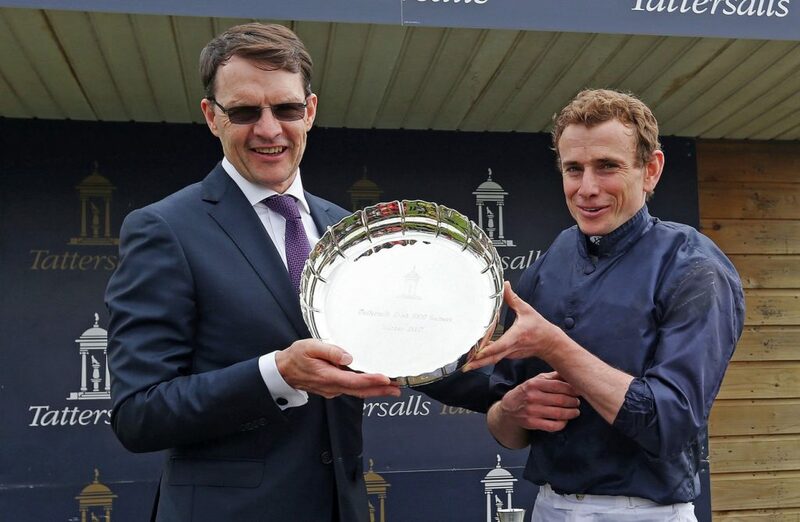 It gives Ballydoyle a cumulative total of almost two-thirds of its Royal Ascot horses bringing in prize money through victories or finishing in the first six for Magnier and company. 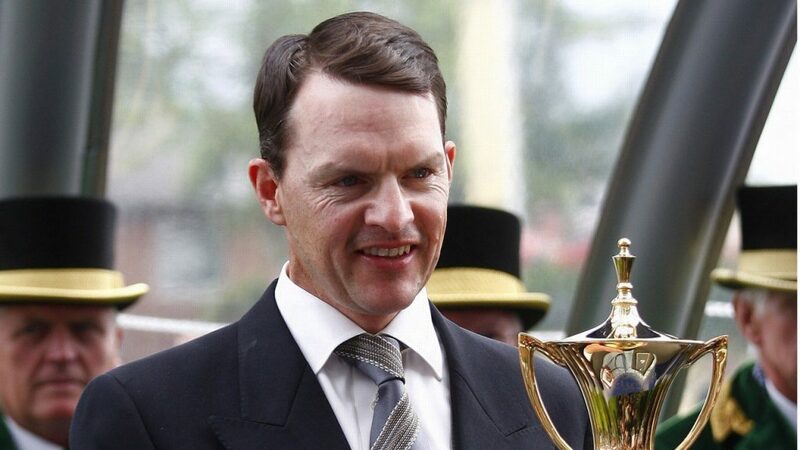 If he’s saddling winners and then placed horses galore, it’s no wonder O’Brien is raking it in. Sometimes, it’s about targeting the right race – as he did with the 2017 Coronation Stakes when he trained the first three past the post! Coolmore have the vast majority of their horses at Ballydoyle, yet another powerful set of owners in Godolphin use multiple trainers. How have these different approaches to flat horse racing worked out? If the Royal Ascot prize money over the last five years is any indicator, then O’Brien wins hands down. The cash on offer for winning and placing in races has of course increased due to inflation, yet Godolphin’s boys in blue brigade just haven’t come close to O’Brien and Coolmore. In 2017, they had the same number of Royal Ascot winners with six, yet the Irish conveyor-belt delivered about £350,000 more from 18 fewer runners. Godolphin are on a 7%-win rate from their 194 horses running at the royal meeting since 2013. Two out of every five runners carrying their blue silks placing is comparable yet still inferior to Coolmore. 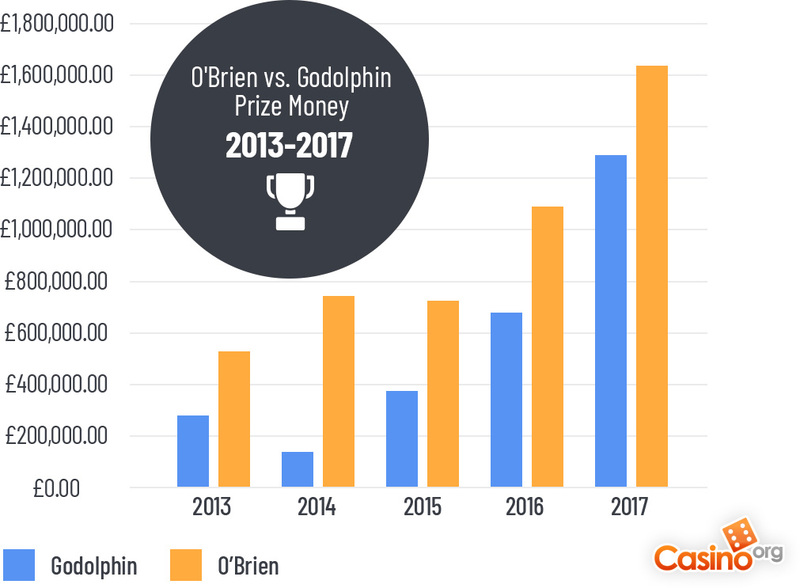 Over the last five years, O’Brien trained horses have brought in almost £2,000,000 more in prize money than Godolphin at Royal Ascot and that shows you how far clear connections are of their flat rivals.